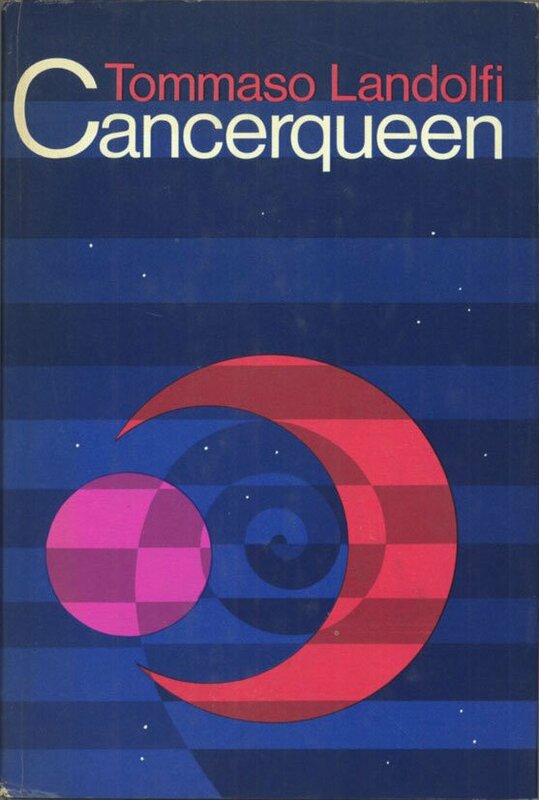 Christopher Priest’s An Infinite Summer (1979) clocks in as my second highest rated single-author collection, behind Michael Bishop’s Catacomb Years (1979), so far in the life of my site. I find Priest’s fiction intense and hypnotic. 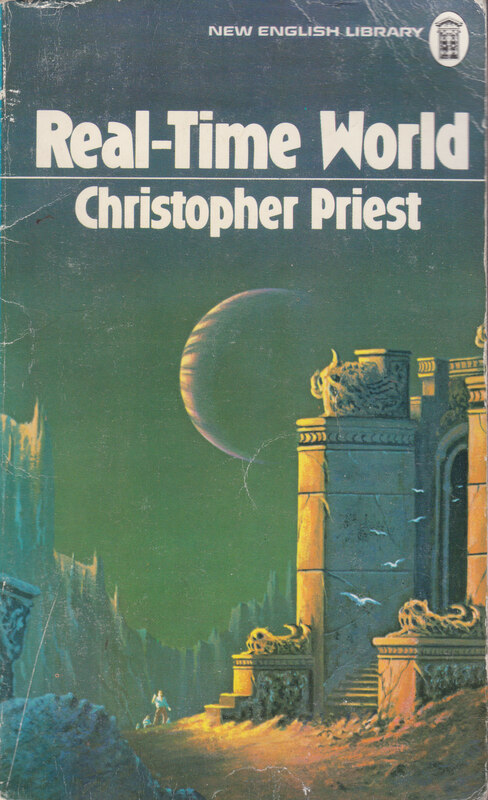 As Real-Time World (1974) contains a range of Priest’s earliest published short stories, one cannot escape the feel that he is still trying to find his way as an author. 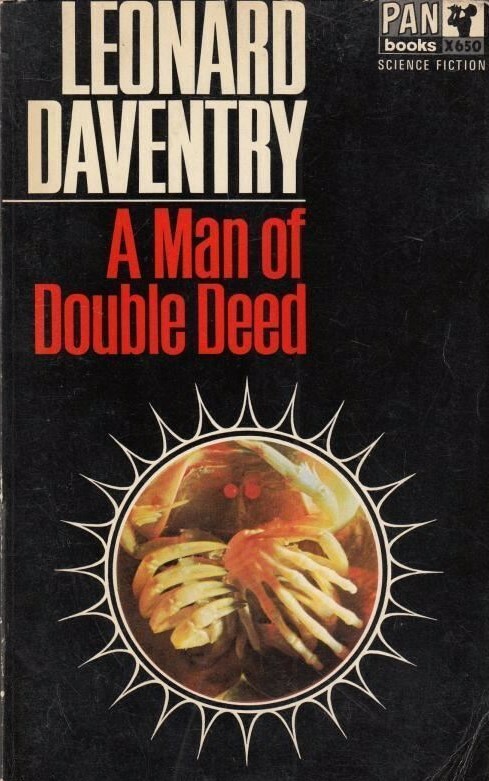 Similar indecision characterized his first novel Indoctrinaire (1970). The best stories in the collection revolve around the themes—the complex nature of perception and reality, psychologically unsettled environments and characters, voyeurism and performance—that his later works would take to greater heights (for example, The Affirmation (1981) and the various stories within the Dream Archipelago sequence). Read for “Real-Time World” (1971), “The Head and the Hand” (1972), “Sentence in Binary Code” (1971), and “A Woman Naked” (1974). The collection’s least satisfying stories, the futuristic space capers “The Perihelion Man” (1969) and “Breeding Ground” (1970), although still exuding some psychological depth, give the impression that Priest is not in his literary comfort zone. Despite the unevenness, I absolutely recommend the collection for fans of Christopher Priest. For those new to his short fiction, An Infinite Summer remains the place to start. “The Head and the Hand” (1972), short story, 5/5 (Masterpiece): Mesmorizing. Terrifying. Not for the squeamish. Short stories seldom exert the horror that “The Head and the Hand” does. And after the shock wears off, the artistry of the telling remains. As with his later novel The Prestige (1995), “The Head and the Hand” plumbs the depths of performance, scripted roles, and cathartic ritual. Lasken and Elizabeth care for Todd, a performance artist who mutilates his own body for adoring audiences. Lasken has an affair with Elizabeth, Todd’s wife, who “saw herself in some messianic role” (15). And they both hatch a plan for Todd’s final performance. The body horror elements mesh well with Priest’s gorgeous imagery and distancing prose style. As Todd, limbless and castrated, moves across the stage via complex contraption, “the movement was eerie and unnatural. He floated on the wire so that his false legs just scraped the canvas of the stage” (19). Most disturbingly, although horrified by their participation in Todd’s spectacle, Elizabeth and Lasken cannot escape their own roles and Todd knows more than he lets on. And Todd, “Le maître” (18), still orchestrates all despite his mutilated state. 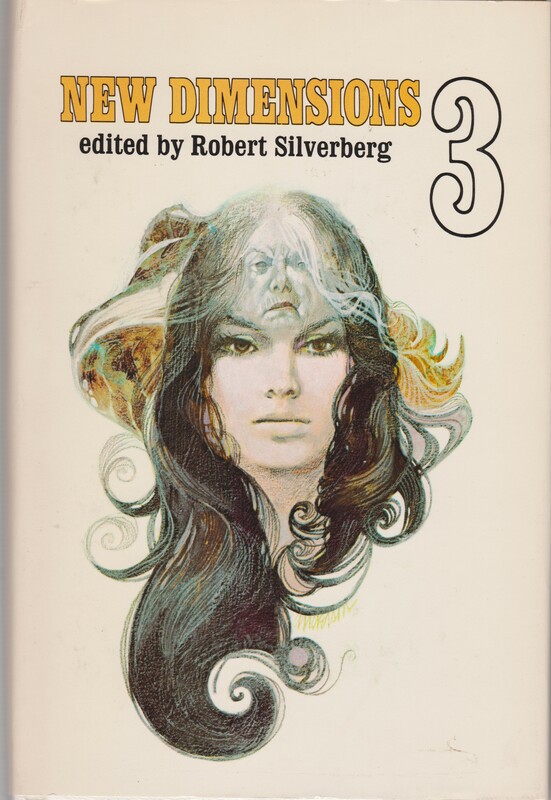 “Fire Storm” (1970), short story, 3/5 (Average) reminds me of Indoctrinaire (1970), a fascinating premise that never manages to exert the power that it should. Captain Maast, who considers himself a dying breed of war artist, waits for word from his superiors to erase the city of Anthus. For Maast, the destruction of cities, amounts to art: “He had grown up in a traditional, conservative background of warfare, where destructing had taken on some of the aspects of an art” (32). Until the command, he demands the maintenance of all the city’s function: “I want all the street-lamps on, and as many private houses and public buildings lit as you can manage” (26). Destruction as art. 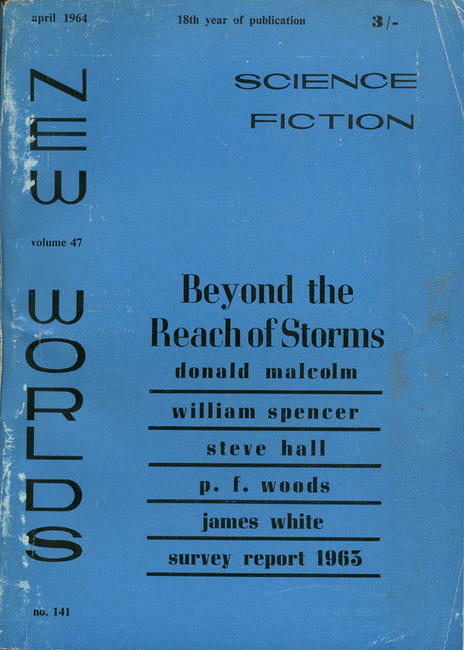 “Double Consummation” (1970), short story, 4/5 (Good): Almost a reimagining of Wyman Guin’s “Beyond Bedlam” (1951), “Double Consummation” follows the couple Clive Tiptree and Nicola Woodfield who, via drugs, periodically undergo “transition” and take on “distinct” moods in order to carry on relationships with others. In a future of hyper-abundance, the government uses “sublimages” to “mould the nation’s moods and fashions” (42). 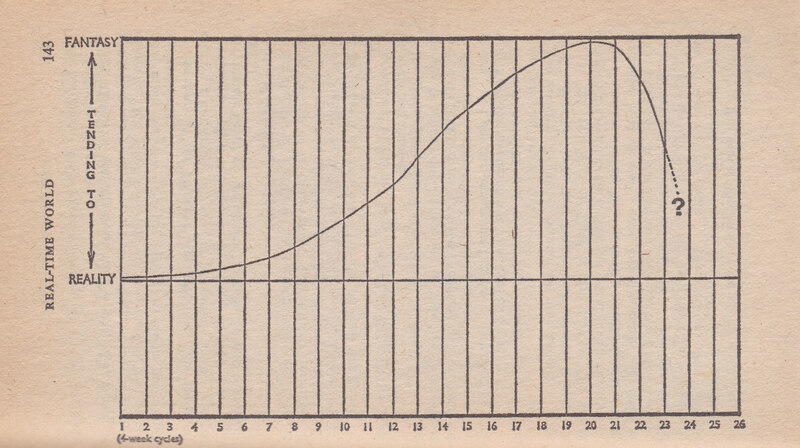 Other psychological drives are conquered, for example the “social” drive behind “population explosion” (42). In this depopulated post-scarcity UK, marriage no longer serves a function. Via a society filled with subliminal images and bifurcated realities, Priest explores the power of relationships, often ephemeral, holding out against the tides of fragmentation. “A Woman Naked” (1974), short story, 4.5/5 (Very Good): A harrowing fable about the male gaze and the objectification of women. Told in a detached style “A Woman Naked” tells the story of a woman assigned the “temporary” name “Mistress L—-” after she is caught and charged with “sexual promiscuity” (53). She most walk from her house to the courthouse, where her testimony must match that of the official narrative told by informers, naked. Her brother and his friend, who cannot directly intervene, attempt to influence the mood of the male crowd that threatens her as she makes the walk. A minimalistic story relayed with almost scientific distance, only the sparsest details of the future (or some alternate present?) suggest a terrifying world where women are oppressed, perhaps spurred from a social environment where “men outnumbered women several times over” (57). Despite its short length this was an emotionally tough read that a lesser author would not have been able to pull off. “Transplant” (1974), short story, 3.75/5 (Good): Arthur Knowland spends his days confused by the odd decayed version of the neighborhood he inhabits and depressed at the prior death of his wife. As one might expect Arthur is not really alive but rather, as his brain survived and machines maintain his body, recreates the memories that are most familiar to him. However he realizes that he can exert some semblance of control over his experiences. “Breeding Ground” (1970), short story, 2.75/5 (Vaguely Average): My least favorite story in the collection, “Breeding Ground” tells the tale of Luke Caston, the captain of the spaceship Glory Whore, who discovers the holy grail of space scavengers, the remains of the Merchant Princess: “the entire industry of space-salvage owed its existent to her” (79). Despite the promise of great wealth, there’s a catch — small space-mites who live in the wrecks mysteriously enter your spacesuit. The psychological terror of being trapped in a spacesuit unable to doing anything about the mite’s electric shocks, creates intense discomfort among spacemen: “Get a space-mite inside your suit, the old lay of the spaceman went, and before it suffocates it’ll drive you half crazy” (78). A forgettable space caper with lengthy descriptions of Luke Caston’s attempts to avoid mites. 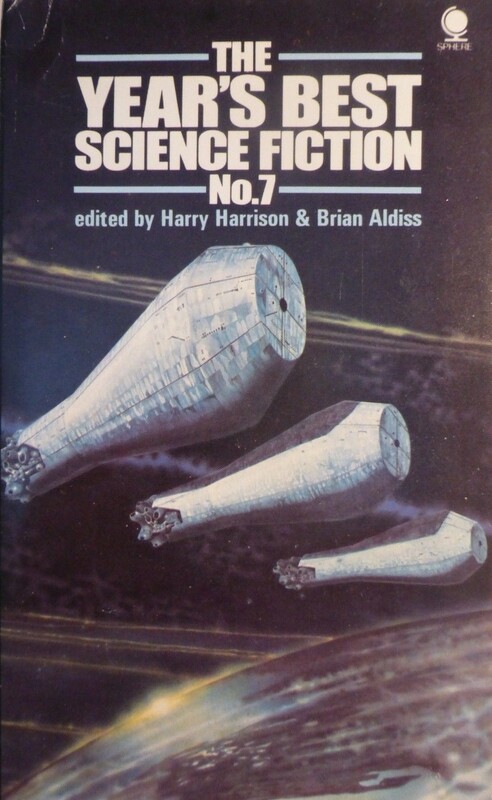 “Sentence in Binary Code” (1971), short story, 4/5 (Good): As I’ve read so much SF, I often spot twist endings or grand reveals with ease…. Not here. Joseph Turatsky, branded a political undesirable, emerges from the Institute of Corrective Therapy without a body and inside a computer mainframe. Along with various other political dissidents in “electronically-stimulated mental contact” (92), he’s tasked with processing information: “for twelve hours of every day, data was fed into his core in binary impulses” (93). Eventually he discovers a way to escape, but little does he know that by escaping he’ll be working against his initial political inclinations. 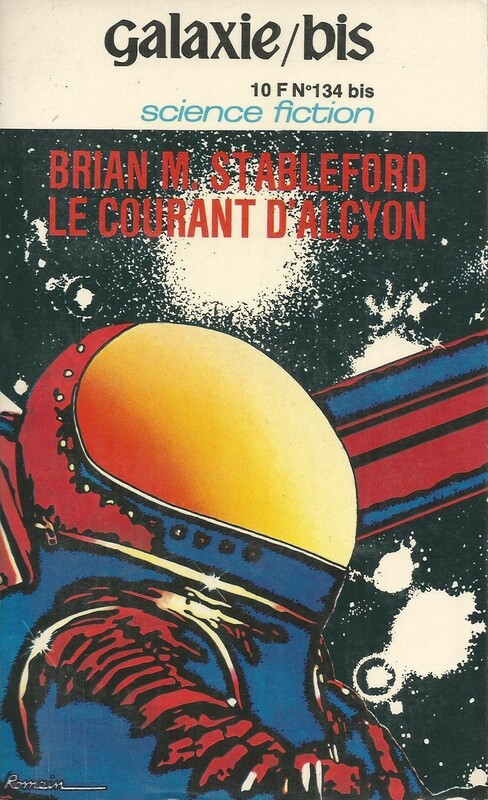 “The Perihelion Man” (1969), novelette, 2.5/5 (Bad): A mundane adventure tale about space nuke satellites going missing. A medically discharged astronaut is recalled by a shadowy agency to save the day… Captain Jason Farrell, addicted to life in space, will do anything to get back. Little does he know that there are other forces at play. Forgettable. “The Run” (1966), short story, 3/5 (Average): Priest’s first published SF story (he put together in 2008 a collection of earlier unpublished works), shows promise in its scenario and fraught mental and physical landscape. Senator Robbins leaves a military base–in a future wrecked with social and political unrest–and approaches the governmental building. He encounters a horde of juvies who block the road and he must choose whether or not to drive over them. A story about individual choices vs. the greater geopolitical and social forces beyond our control. That cover is definitely by Pennington, his style is unmistakable. 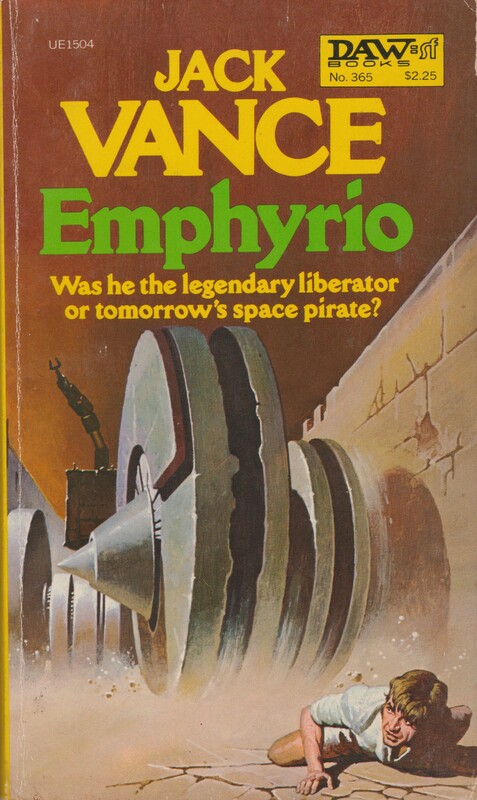 I’m sure the style is Pennington’s.He was New English Library’s house artist on their science fiction titles. I looked at the link.I thnk I might be wrong too! Okay.I looked at Ray Feibush on Google Images,but couldn’t find that cover.Still,I don’t suppose it means anything. Identifying attribution can be a challenge. One would probably need to contact the family of Feibush… which is how a lot of the identification is done in these situations. It was a bit annoying really.There were also covers by Pennington shown! Welcome to the slightly documented and utterly frustrating morass of SF 60s/70s art…. No one seems able to identify half of the Tandem press’ covers for example. Yes,but it’s even worst,because the link provived,admits it’s one of Pennington’s covers!I’ve seen it before,so I thought it was. The isfdb.org link indicates they contacted someone or there was some information on Pennington’s facebook page… So, I suspect that’s true. So it can’t be him. I guess Feibush is the best bet. Some have more wherewithal contacting and checked than me! I think the cover is fine, nothing spectacular. I think you’re right.Pennington’s stuff would have more lustre I think. It almost looks like the painting was poorly printed on the book. My scan shows how dull color-wise the image looks. Yes,I clicked on your image….I think you’re probably right. Tom, my initial hunch was Pennington as well (I am only guessing that someone contacted his family through his facebook page and stated that it wasn’t his work. Until more convincing evidence is provided I’ll leave my “?” next to his name). That said, have you read the collection? Do you enjoy Priest’s fiction? 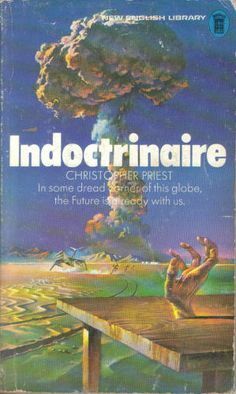 I just put Bruce Pennington:”Real Time World”,Christopher Priest in Google Images.When I clicked on the image of the one we’re talking about,it said by Bruce Pennington,and when I did the same on visit page,it took me to your post for December last year,featuring that same cover,where you credit it to Bruce Pennington! Yes, I guessed based on style. As I indicated, contacting the relevant parties is probably the only way to sort it out. I don’t have time to do such things with my guest post series etc…. And, truthfully, I am way more interested in the contents of SF books than their art in almost all cases. Yes,I was a bit shocked when it took me to your site! Haha, why? I have more than a 100 cover art posts! Yes,I know very well you have Joachim,so I wouldn’t really be surprised to find them,but when I clicked visit page on this one,I expected to go somewhere else,and the mystery would finally be solved! We have an answer. Rog Peyton got in touch with me — he contacted Christopher Priest, who confirmed that the cover is by Pennington. isfdb.org’s indication to the contrary is thus incorrect. I see you got confirmation it’s Pennington from Christopher Priest via Rog Peyton. I also contacted Pennington’s official site, and Nigel Suckling says he will ask Pennington about the cover when he sees him this week. So we can probably expect double confirmation – from both author and artist. I heard back from Nigel Suckling at Bruce Pennington’s official website. 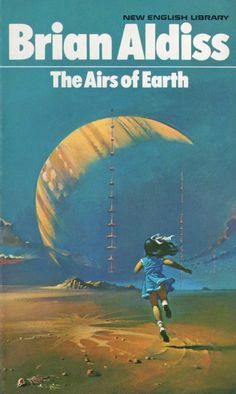 Bruce Pennington says that is definitely not his picture and is most likely by Ray Feibush who produced some very similar looking covers for NEL in the 70s. First Trump, now this. What a world we live in! Thanks Tom for your investigating! And, it feels good to finally have an answer. I think I have to agree with you on “The Affirmation”,which I much prefered to “Beyond Apollo”.I can’t see any comparison myself,but I can’t argue with you over your personal preferences. 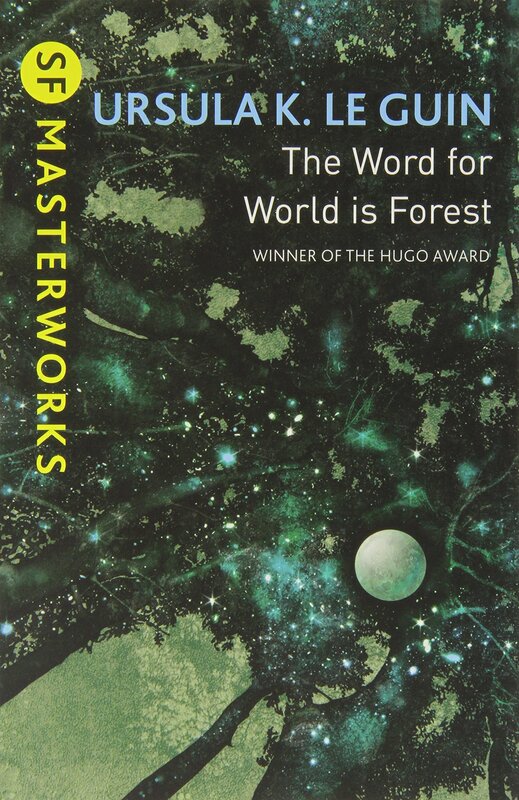 I think I must read a collection of Priest one of these days though,although there’s other British SF authors shorter fiction I want to read too,such as Robert Holdstock and Olaf Stapleton,having read two novels by both authors. I wasn’t comparing them any more than indicating that “what is real” is highly obscured and perhaps impossible to parse out — a literary “trick” so to say that works well in the hands of both authors… They have very different concerns. Yes,it’s alright Joachim,I know what you mean,the entanglement of events in both novels is equally confusing,but superfically they’re different.To be honest,I was really only thinking in regard to my own preferences,because I found “The Affirmation” a much clearer and lucid novel. Yes. I know your position on both. You should explore his earlier work. It’s rewarding as well. Yes,I do want to read more of his stuff.I want to read some more Malzberg too.I’ve read a collection of his,besides BA. Lol. And yet, now I kind of want to read it. Yeah, Priest and space is an odd mix for sure! As he has a detached prose style, when he describes the technical elements (tubes and air and airlocks) about mite extermination it’s really boring. In a similar vein, it reads like the local exterminator giving you a detailed rundown on how they’re going to get the roaches out of the house. His style is better suited to describing psychological experiments in “Real-Time World,” the trial and penance in The Handmaid’s Tale-esque women oppressed fable “A Woman Naked,” and the amputation equipment in “The Head and the Hand”. Ah, I finally have a some time so I’ll scan “The Head and the Hand” for you to read! You’ll get it momentarily…. I’ve read it twice (once to my friend on our commute), it kicked me in the gut twice. My friend was transfixed and now wants to read all the Priest he can get his hands on. I also read him “The Negation” in An Infinite Summer. Which might be my favorite Priest short story so far. Hm. Thanks! I’m the same way: want to read all the Priest. Do you want any more stories from the collection? Other than “The Head and the Hand”? I understand that Harlan Ellison has one of his stories in inventory, I wonder if it is any good? Did you ever read Priest’s deconstruction of the Ellison myth, and the Last Dangerous Vision? Have you read any of the stories in this collection? No, for two reasons. The first is that during his heyday as a short story writer he published mostly in British venues, which in my early teens I had no access to, and the other is that when I graduated from high school and went to work in the hard cruel world (sarcasm) I read very little until I became handicapped. 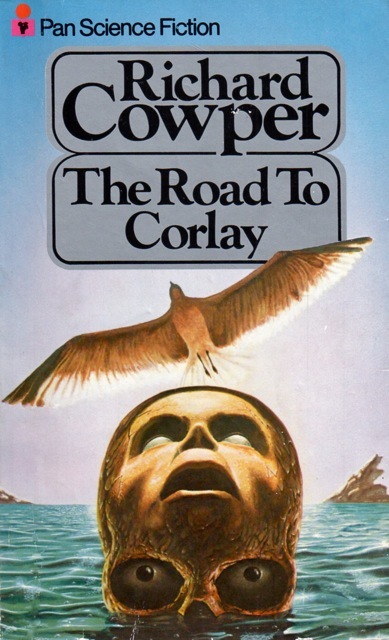 By then my interests in literature had become splintered into reading sf, fantasy, horror, commix (above and underground), mystery, suspense and all kinds of pulp stuff. I did, however, read his novel Inverted World when it was first serialized in Galaxy, and I remember liking it. Then again, he’s hardly prolific, so it’s hard to just “stumble” across his works. And here’s a bit of trivia, Priest published a story in the same issue of Interzone that had a Harlan Ellison interview. Oh, the irony. 90% of my reading is not SF — it’s history + related fields for my academic profession. For me SF is a way to relax, and to focus my writing obsessions. Perhaps you should track down some of his early fiction! He’s written quite a few novels in the last few years actually. You are very patient with those of us who miss the point and wander off in pursuit of trivia. I am deeply fond of Christopher Priest. I think “Fire Storm” was the first of his stories I read, back in 1970-mumble, included in “Quark #1”. So it was embedded in that “experimental science fiction” milieu. If you enjoyed that story you should definitely check out my favorite from the collection — The Head and the Hand (1972) — it’s a hard read for sure (the emotional intensity). “The Head and the Heart” is one of those stories that sticks in the mind like a hair stuck at the back of the throat and won’t go away. If Priest had stopped writing then, he would still have a place in the history of SF for that story alone (though I’m glad he didn’t stop!). 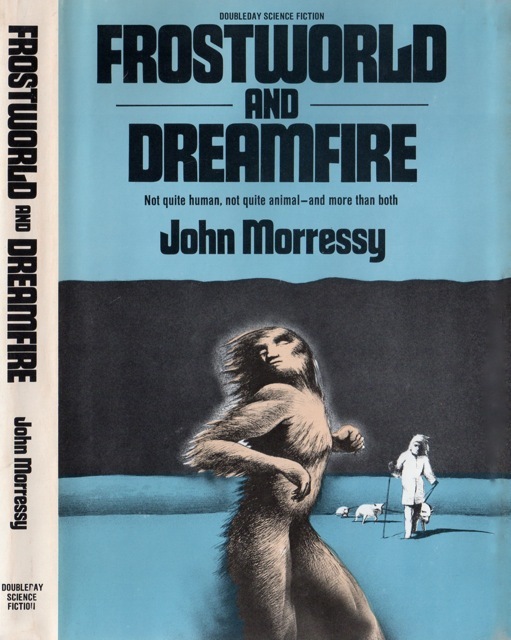 Unfortunately, I don’t get the impression that there is much knowledge among newer SF readers about Priest’s short fiction. Perhaps among those who read the magazines when they were coming out etc. It was only by accident that I discovered him! (I know that people recognize The Prestige, but, obviously a far later work and made popular in part by the Nolan film). I’d love to know your thoughts on Tau Zero. It ranks among the most disappointing reads of 2016. People forget that books are a product, and as a product they have to be consumer friendly, and if you pick up a book with a totally hideous cover, then not only will that book may not be read, but not even bought, and thus becoming one of publishing history’s lost books. And of course, who gets the blame? The author. So, I applaud any comments on a book’s appropriate/non-appropriate cover art. Another thing that will rub my raspberries raw is when I pick up a book and the type is so tiny that I need a magnifying glass to read it. Books shouldn’t be difficult to read, or embarrassing to be seen with. Some authors will do that job nicely for the publisher all by themselves. 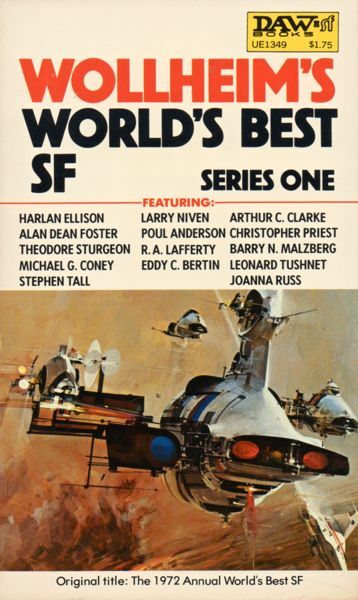 A while back on Good Show Sir, a site that pokes fun at really atrocious SF art, an author submitted his own book cover and stated the exact same thing…. I actually liked some of those covers, and it just goes to show that some peoples trash is another person’s gold. Still, thanks for the link. Also, if the cover actually illustrates something in the book then…then…then…oh what the hell, most of these book cover were garbage. Still, would you rather have bland or bad? As anyone can submit a cover, some are definitely not what I would consider bad. But, goes with the territory! I find the witty banter regarding the truly bad covers hilarious. I’ve just read “A Dream of Wessex”.It was really very good,and think it verges on a near masterpiece.